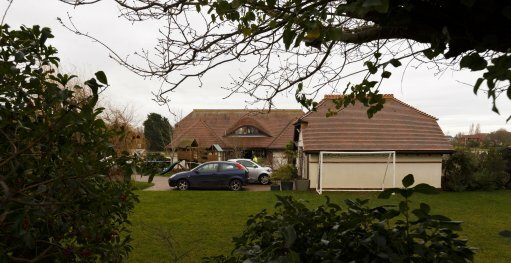 Tests have revealed a woman who was murdered while house-sitting near Chichester died from "significant head and facial injuries'". A 55-year-old woman who was murdered while house-sitting in a quiet seaside village died from "significant head and facial injuries", a post-mortem examination has revealed. Valerie Graves, from Bracklesham Bay, West Sussex, was found dead at the property in Smuggler's Lane in nearby Bosham on Monday morning (30 December). She had been house-sitting with three other members of her family over the Christmas period while the owners of the detached family house were away on holiday. A Sussex Police spokesman said detectives are continuing to appeal for witnesses to come forward and investigations are continuing. Detective Chief Inspector Jon Fanner said: "The post-mortem has revealed the cause of death but we are still keeping an open mind as to the motive. "We are appealing for witnesses who may have seen anyone acting suspiciously or anything unusual in the area from late afternoon on Sunday 29 December to around 10am on Monday 30 December. "Please call us if you know anything, no matter how insignificant you might think it is. It could be important to the investigation." Police were also carrying out a search of a house in Shalbourne Crescent in Bracklesham Bay. The house is registered to an Eileen Graves, 87, and neighbours said an elderly brother and sister lived at the address. A neighbour of the Smuggler's Lane house, who did not wish to be named, said: "They (the owners) have people staying in the house while they are away for the holidays, it could be friends, it could be family. "It is not rented out, people come because it is a nice place to visit. "We do not know who they were, they have been there since Christmas. She added that they first realised that something had happened when they saw an ambulance and police cars parked outside the detached property - which has a children's playground and football posts in the garden. She said: "We looked across and saw the ambulance and three police cars, believed something was amiss and we worked out what had happened but we know no more. "I am just very sad for our neighbours and for everybody. The house, called Hove To, is in Smuggler's Lane which is in the rural outskirts of the small seaside village of Bosham. The property was last sold in June 2000 for £745,000 according to property websites. The house is listed on the electoral register as being occupied by a Malcolm, 66, and Caroline Chamberlain, 63, and a neighbour said they had twin girls.